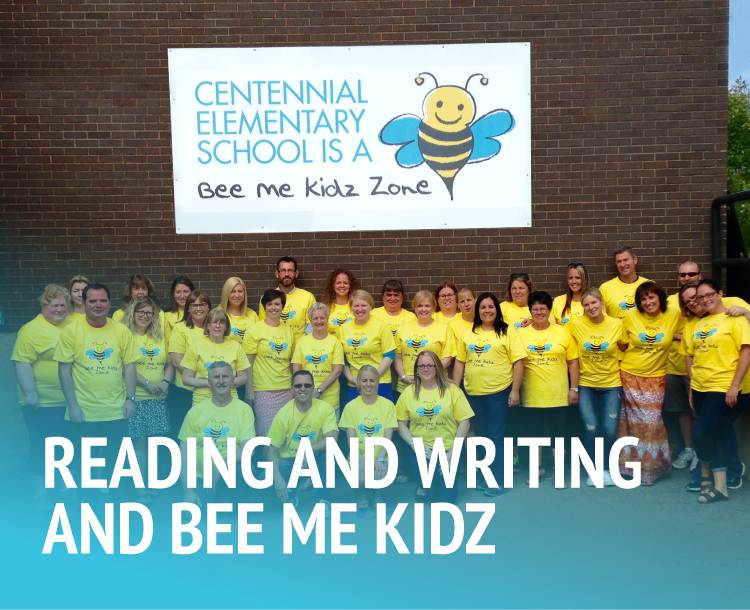 Bee Me Kidz has been such a rousing success that it has now expanded into an elementary school program, creating a positive, inspiring and supportive learning environment where students are encouraged to Bee their best. In the school environment, the entire school is transformed into a Bee Me Kidz Zone. BMK Zone signage is posted outside the school and in the classrooms. All teachers receive training in the Bee Me Kidz culture and PATHS curriculum. Students enjoy a three-times-per-week Bee Me Kidz/PATHS class in which they have fun while learning important social and emotional skills. Each classroom has a designated Bee Me Kidz Zone where children can go to self-regulate their behaviour. Every Friday is Bee Me Kidz Day when all teachers and students wear Bee Me Kidz T-shirts. In this way, students receive consistent learning and encouragement that will help them succeed in their school careers and beyond.